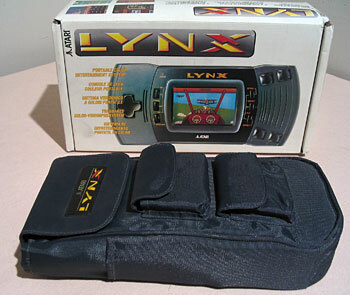 This is Atari’s second version of their Lynx handheld, which I purchased new in around 1999 or 2000. I don’t actually know what the deal is with this Lynx – I’ve seen some with black boxes, some with white boxes (like mine), and I think the white box models were probably either the last ones produced, or they’re European models. Feel free to comment with the correct info – I’m kinda curious myself. 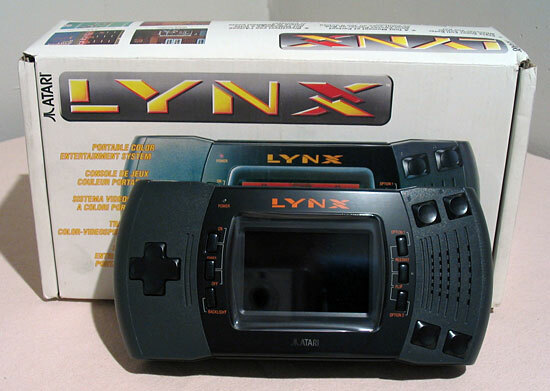 Anyway, my Lynx has barely ever been played and so is in as perfect condition as a “used” system can get. 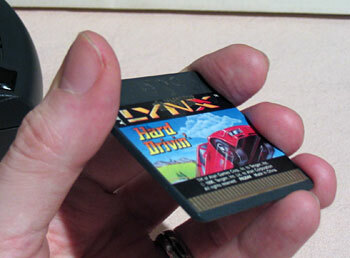 I just don’t have very many games for it, and the ones I do have aren’t very good. 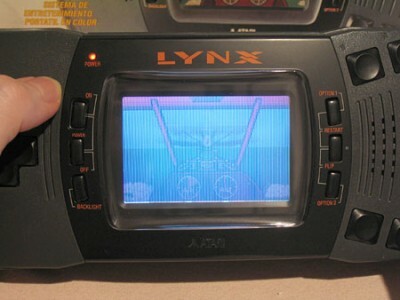 One of the annoying things about the Lynx, which you can tell a bit from this picture, is that the screen scratches ridiculously easily. I have done little more than take my system out of the box and insert/remove it from its carrying case a few times and still my screen is almost entirely covered with micro-scratches. Not very noticeable when playing but ugly with the system turned off. Here’s the carrying case, btw – it’s huge! 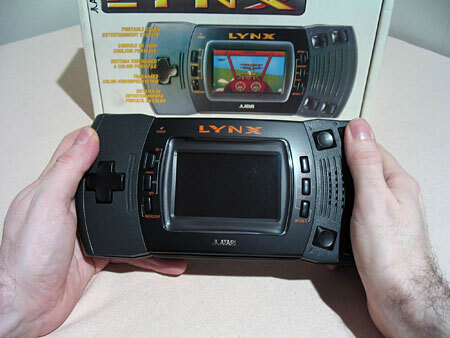 No, nothing is wrong with my Lynx. In its defense, I will say that those vertical lines are probably due to the screen refresh being picked up by my camera because of a long exposure time (you don’t see them during actual play), but in terms of the brightness, contrast and color, that’s about right. Unlike the Sega Game Gear, there is no brightness or contrast control (not that it helps much on the Game Gear). btw, Hard Drivin’ is unplayable on the Lynx. Don’t even bother.